The movie is a tribute to the unsung heroes of the nation and Arjun Kapoor will be playing the role of an intelligent officer. In the poster, there’s just a glimpse of Arjun Kapoor, whose face is half-hidden. One can only see his eyes, which have an intense look. 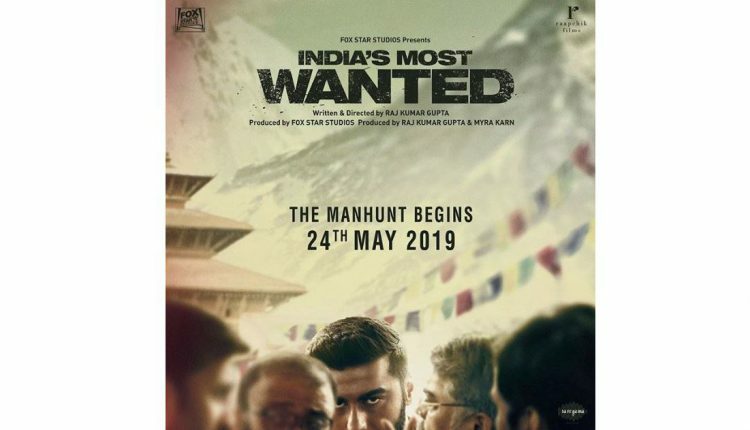 Directed by Raj Kumar Gupta of ‘No One Killed Jessica’ fame, ‘India’s Most Wanted’ is set for a theatrical release on May 24, 2019.